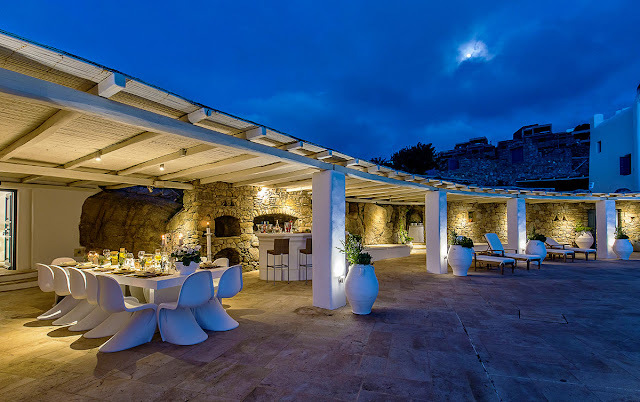 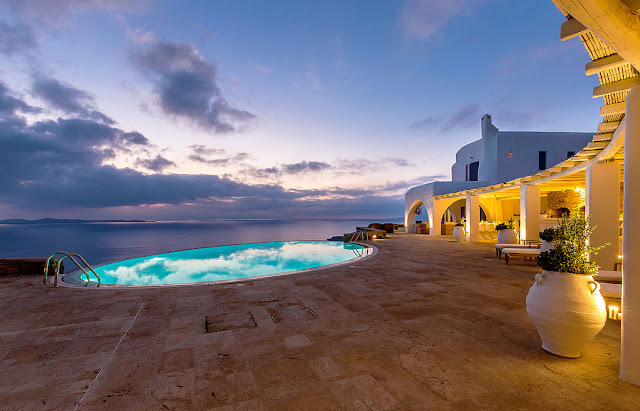 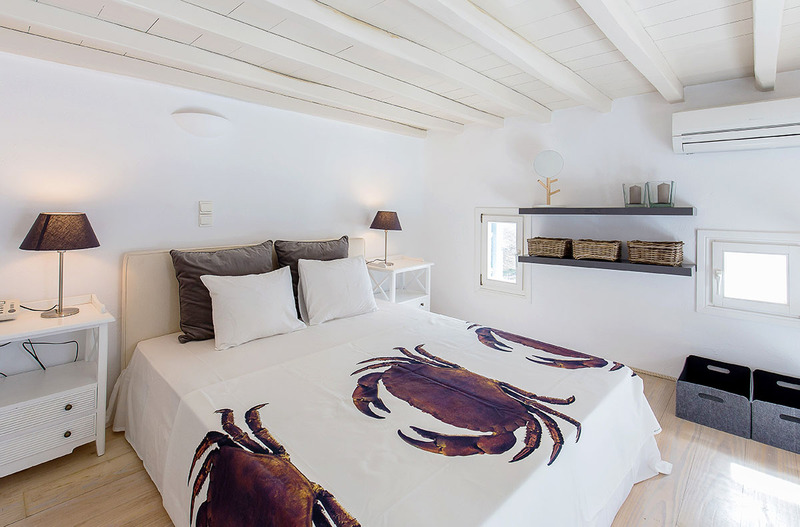 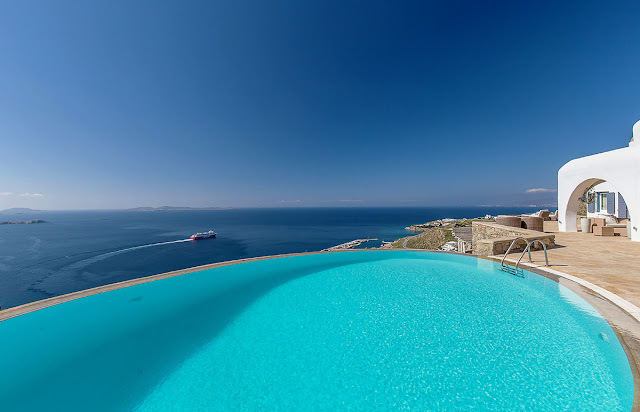 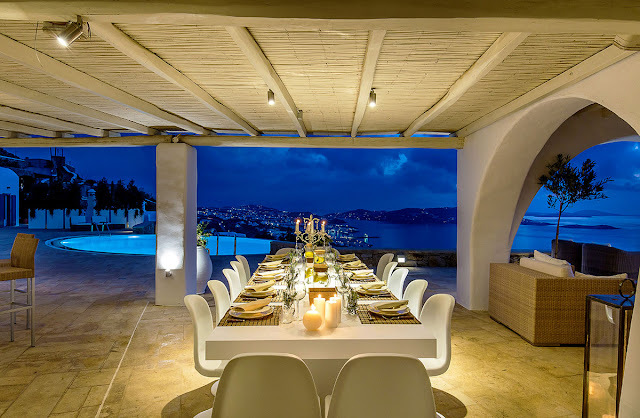 Part fantasy escape, part humble abode, Aries is a fabulous villa in Mykonos worthy of the gods. 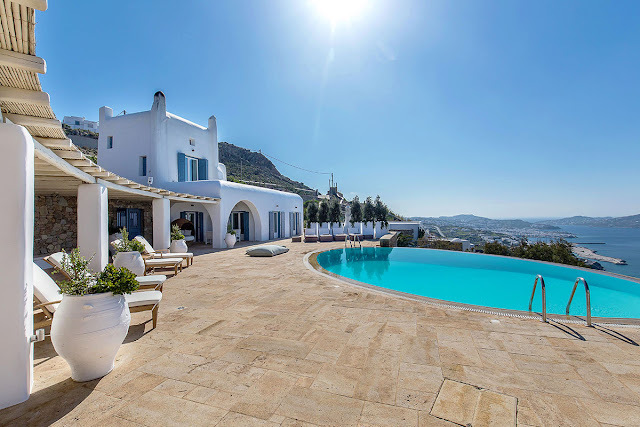 From the oval infinity swimming pool to the spectacular sea and mountain views, the details and accents showcased at this enchanting vacation rental are sure to please the senses and soul. With easy access to beaches, tennis and town, you will be perfectly poised for the ultimate holiday on this idyllic Greek island. 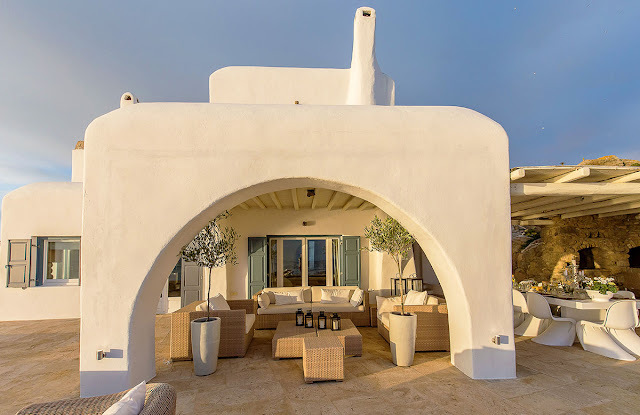 The outdoor area was conceived in a semi-circular design, similar to an amphitheater where the swimming pool metaphorically replaces the stage and all eyes focus on sea and sky. 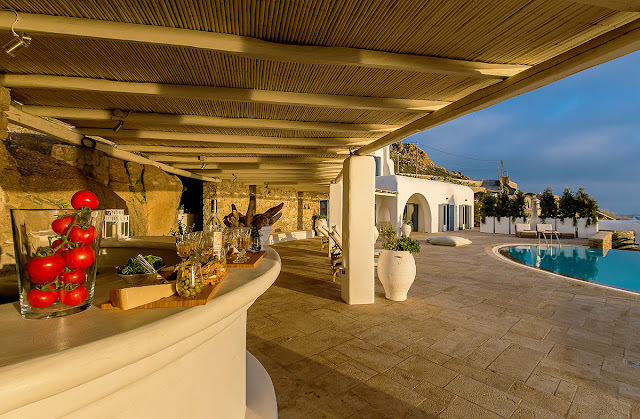 A grand pergola casts shade over the outdoor lounging, entertaining and dining areas, all aptly equipped with cozy, stylish summer furniture. 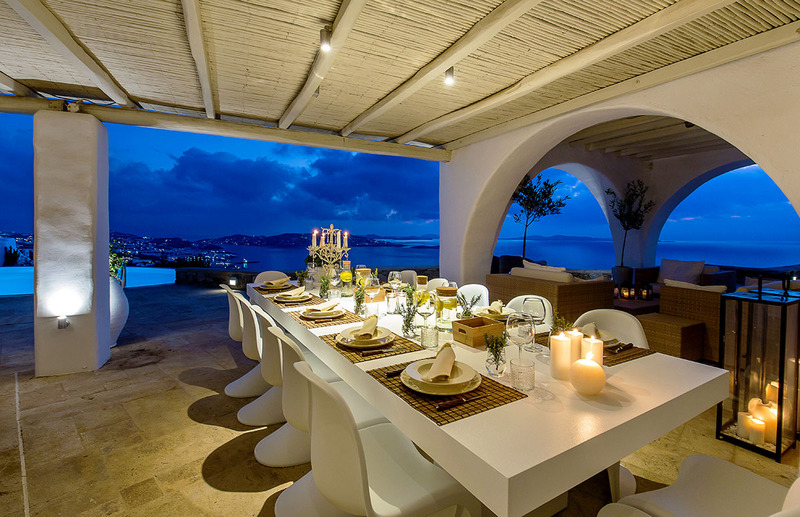 Transitions between indoor/outdoor living are seamless. 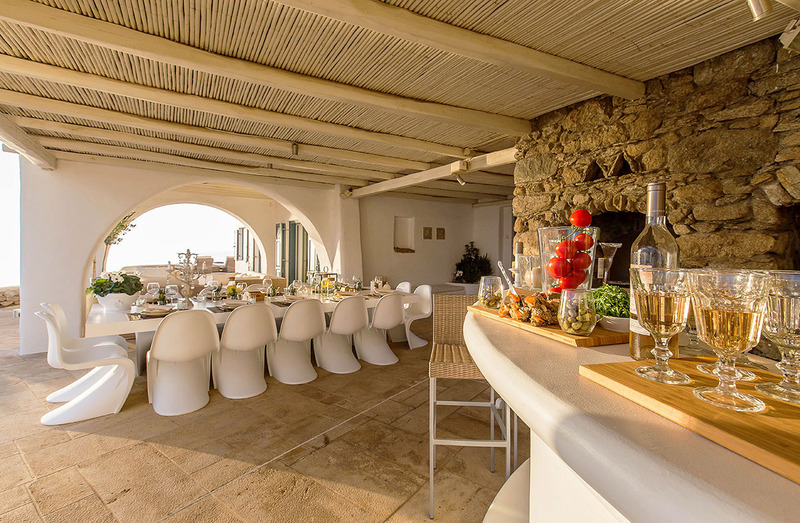 The consummate entertainer will be mixing drinks at the alfresco wet bar in no time! 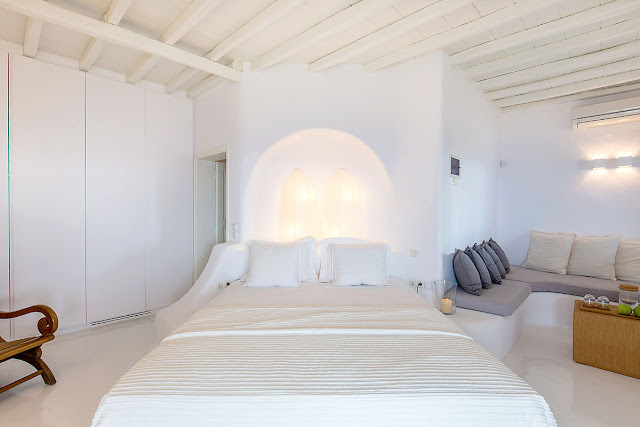 A clever harmony of carefully chosen furniture and traditional elements of Cycladic architecture characterize the interior spaces of Aries. 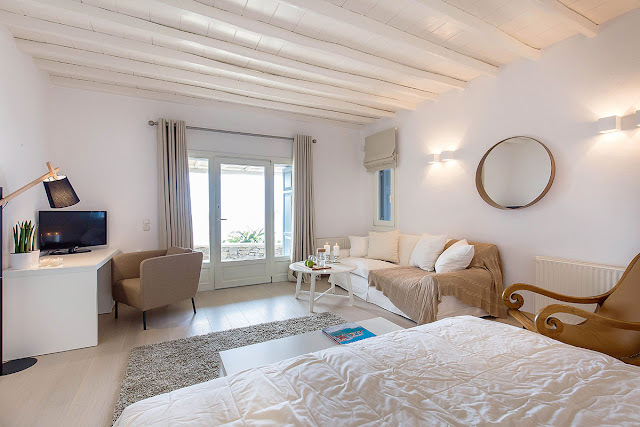 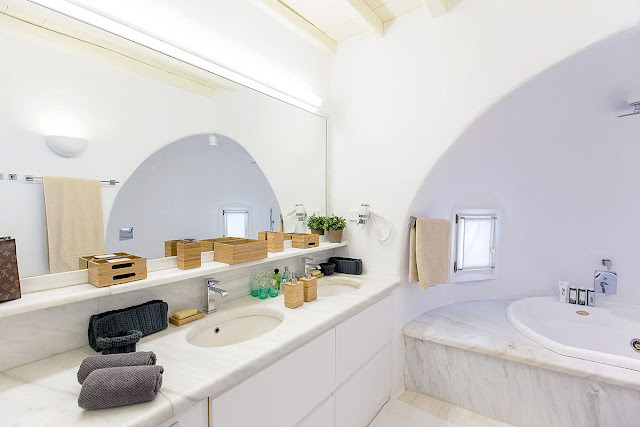 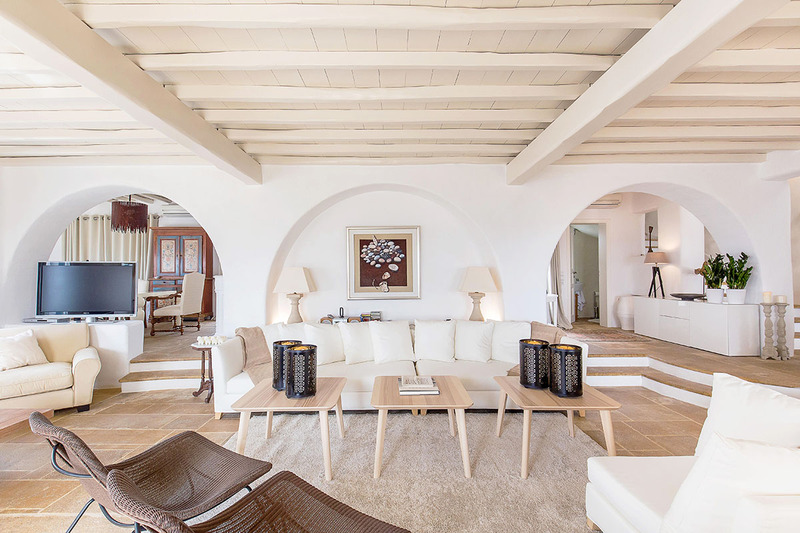 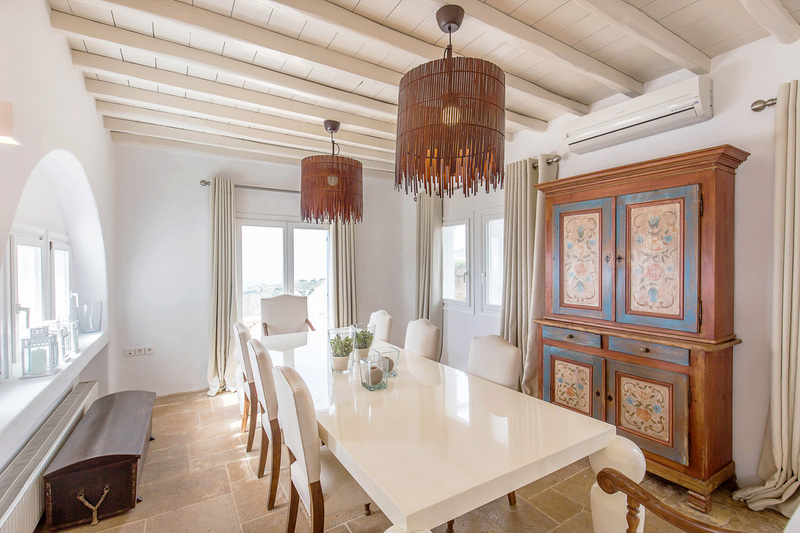 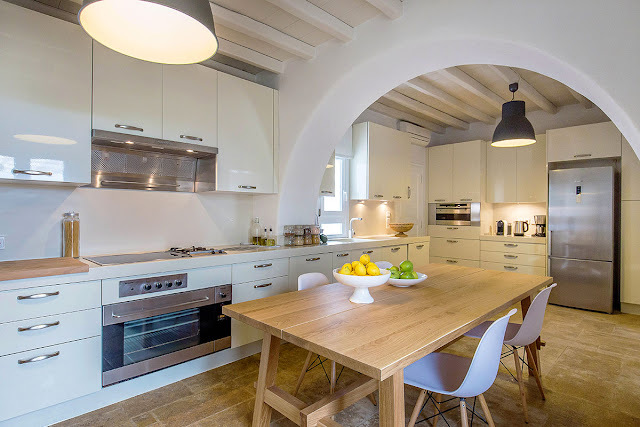 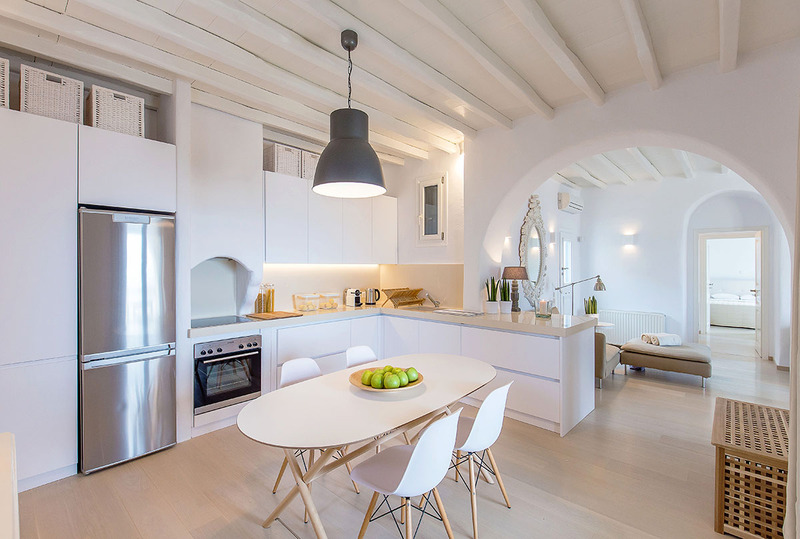 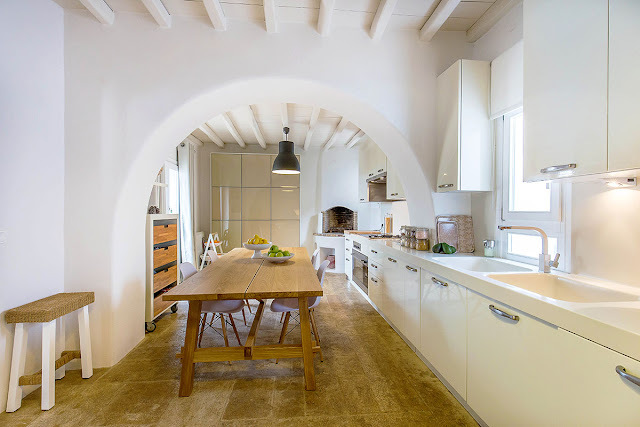 As a true testament to the typical island layout, the villa is composed of separate units and studios, all with independent entrances for added privacy. 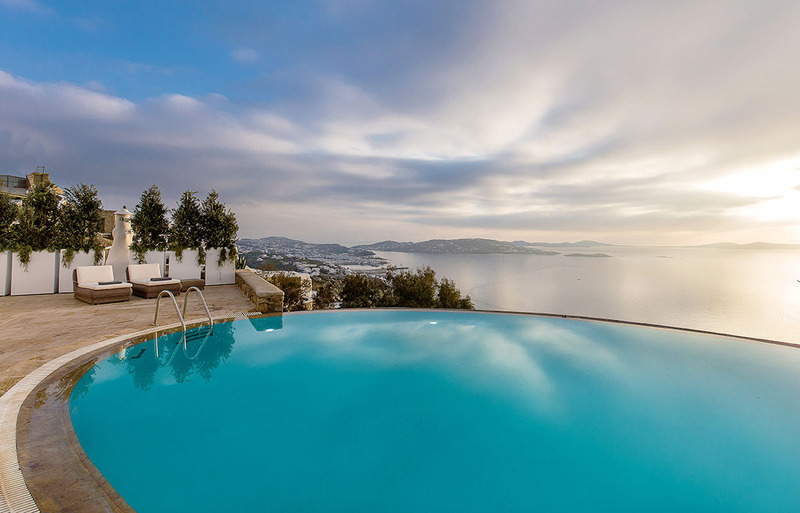 A love for the elements is also evident, be it in the profuse rock surfaces or the grand use of glass to make the most of the panoramas. 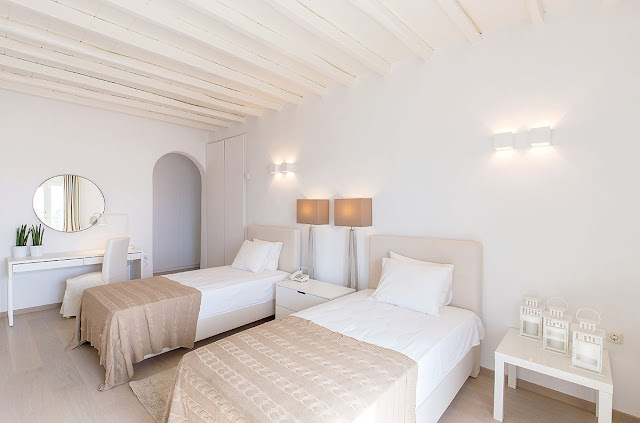 This non-smoking villa provides a master bedroom in the main house and two guest houses with three bedrooms each. 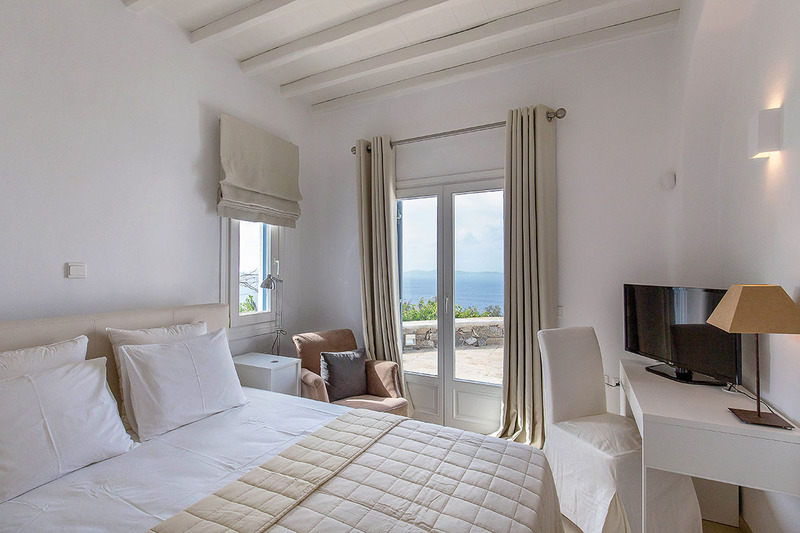 All of the bedrooms have en-suite bathrooms, air conditioning and ocean views. 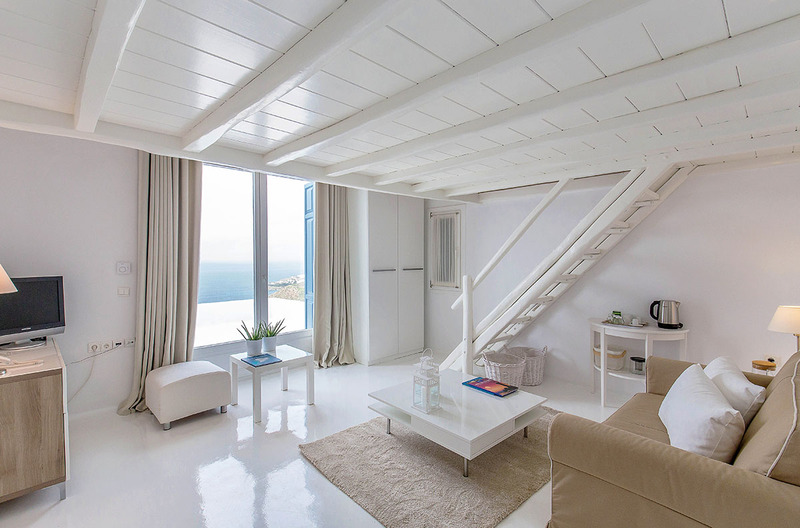 The master suite provides a private balcony and a small studio. The suites in Guest House 1 all have dual vanities, and two provide direct access to the pool. All of the suites in Guest House 2 have private entrances. 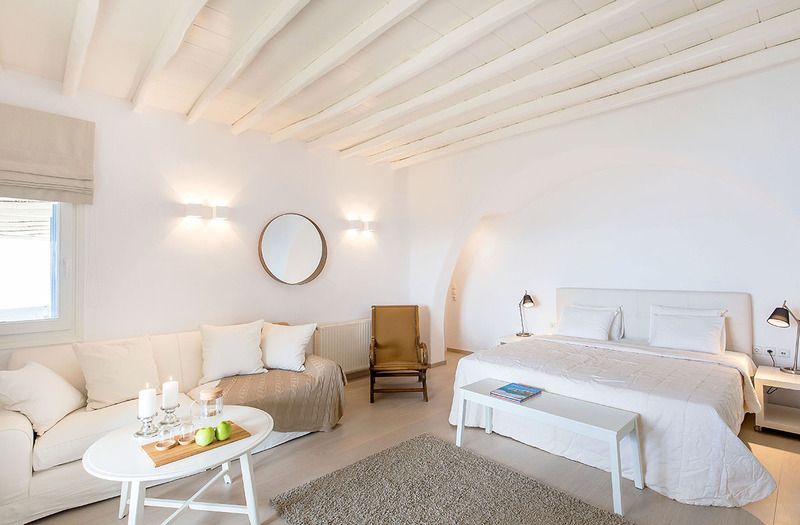 Housekeeping is included. 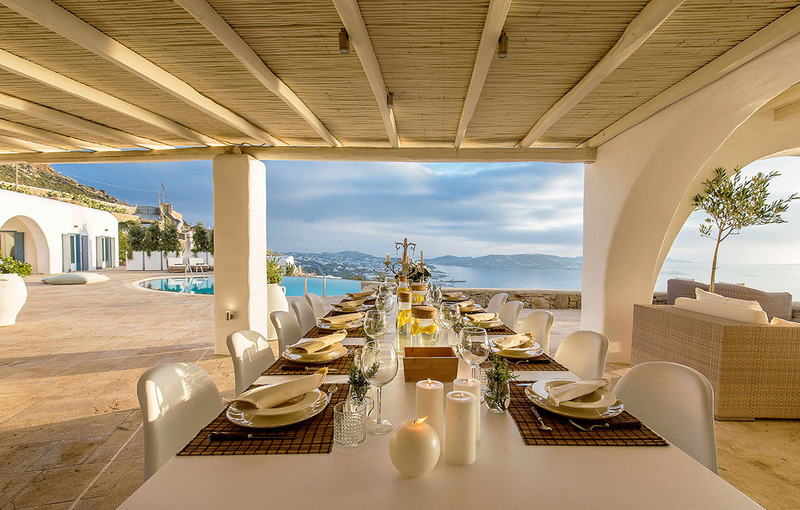 We recommend this luxury villa for a getaway with family and friends or a corporate retreat. 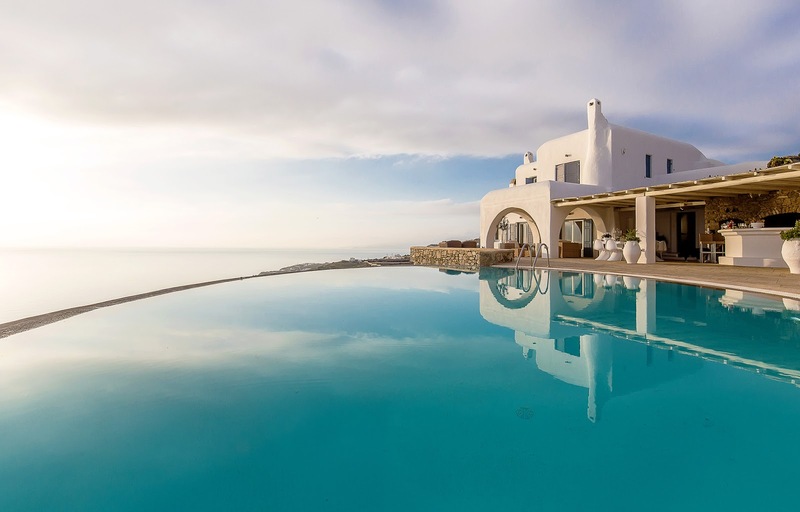 Located in the sought after area of Agia Sofia near Tourlos, this area of Mykonos is notorious for its extensive views over the Aegean Sea and front row seats to the colorful sunsets, while being within easy reach of town. 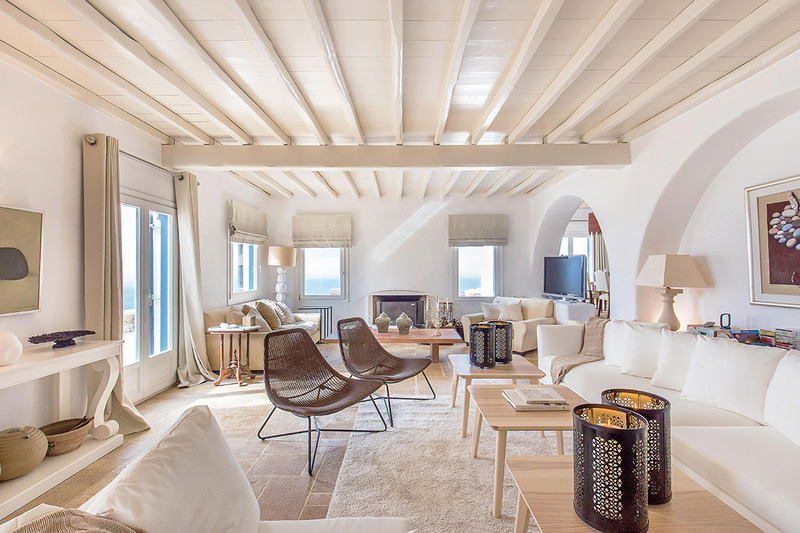 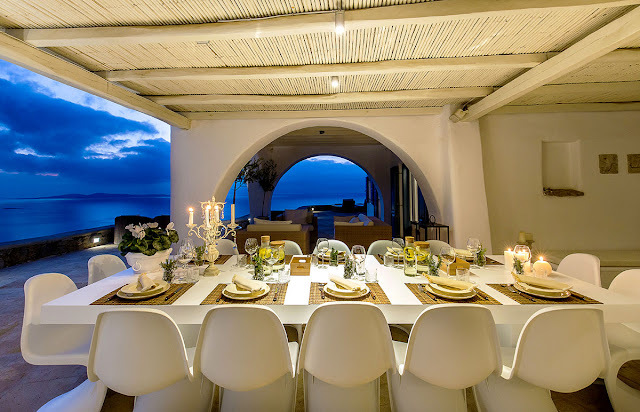 Aries is a welcome addition to the high-end properties on Mykonos, sure to have a great impact on those looking to combine a stylish surrounding with prime location. 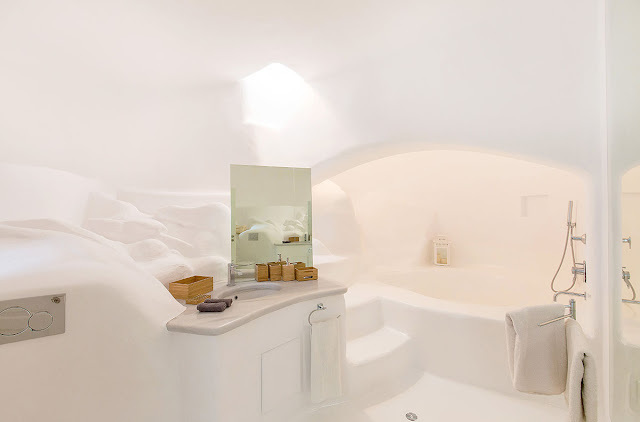 Get the rest and relaxation you deserve with Luxury Retreats!